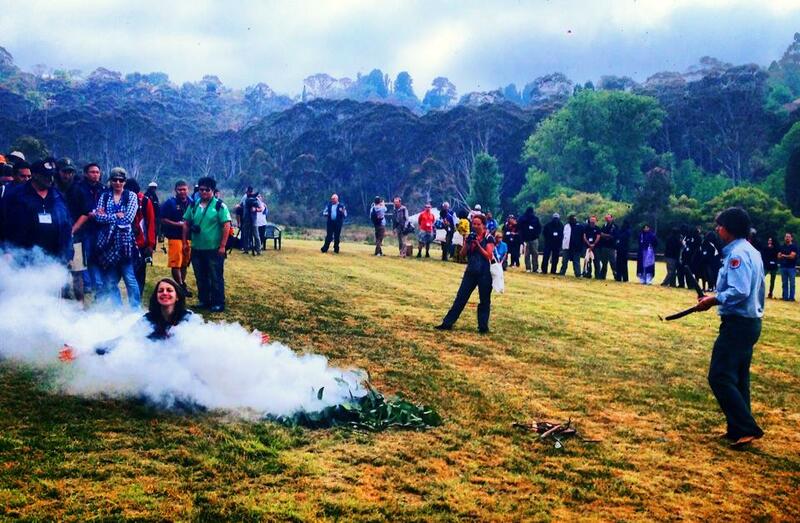 Smoking Ceremony or Smoke and Mirrors? Every ten years a World Parks Congress is a forum staged by the International Union for Conservation of Nature to discuss the effectiveness of World Heritage Listed Protected Areas. For 2014, Parks Australia put up Sydney’s hand to host and fund it. IUCN’s vision is a “just world that values and conserves nature.” The theme for the 2014 conference is “Parks, people, planet: inspiring solutions”. The obvious first question for the 2014 Sydney Congress is what are the outcomes from these seven messages of 2003? The second question is what is to be the conservation return on investment of staging the 2014 congress in Sydney? That starts with Parks Australia and NPWS disclosing the full costs of the congress. How much will it have cost by the time this week is over? Five million? Ten million? Twenty million? More? That also involves disclosure of the onground conservation outcomes, if any. The congress hosts more than 5000 delegates for a week-long event in Sydney. If the answers are not forthcoming and/or the performances less than satisfactory, then perhaps the money could have been better spent (invested) by Parks Australia and NPWS on specific onground conservation of current and worthy Protected Areas in Australia. So the third question is what is the opportunity cost of the 2014 IUCN World Parks Congress which could have delivered the IUCN vision of a “just world that values and conserves nature”? According to IUCN director general, Julia Marton-Lefevre, assessments during the past decade have found that half of the world’s protected areas at best — and possibly as few as 20 per cent — are managed effectively. “Some are what we refer to as ‘paper parks’ ” – parks just on paper. The Australian Government’s $180 million allocation to expand the park reserve system expired last year. The Great Barrier Reef Marine Park is a case in point. 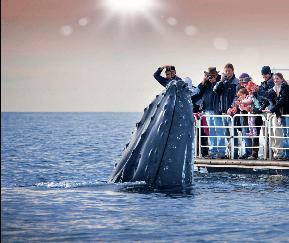 It is the iconic Protected Area in Australia. Its World Heritage listing along with various national zoning, management plans, permits, education and incentives are supposed to protect and conserve the marine ecosystems and migratory species from human threats. But farm and urban runoff continues to contaminate the rivers that flow into the Reef. In 2009 and 2011, mining company Queensland Nickel discharged nitrogen-laden water and 516 tonnes of toxic waste water into the Great Barrier Reef. On 21 July 2013, on the second day of the biennial joint training exercise Talisman Saber, two American AV-8B Harrier fighter jets launched from aircraft carrier USS Bonhomme Richard (LHD-6) dropped four bombs, weighing a total 1.8 metric tons (4,000 pounds), into more than 50 metres (164 ft) of water. On 3rd April 2010, The Shen Neng 1, a Chinese ship carrying 950 tonnes of oil, ran aground, causing the 2010 Great Barrier Reef oil spill. In December 2013, Greg Hunt, the Australian environment minister, approved a plan for dredging to create three shipping terminals as part of the expansion of an existing coal port. According to corresponding approval documents, the process will create around 3 million cubic metres of dredged seabed that will be dumped within the Great Barrier Reef Marine Park. On 31 January 2014, a permit was issued to allow three million cubic metres of sea bed from Abbot Point, north of Bowen, to be transported and unloaded in the waters of the Great Barrier Reef Marine Park, just outside of Abbot Bay. The dredge spoil will cloud the water and block sunlight, thereby starving sea grass and coral up to distances of 80 km away from the point of origin due to the actions of wind and currents. 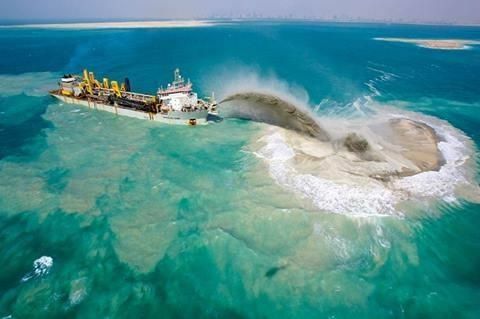 The dredge spoil will smother reef or sea grass to death, while storms can repeatedly resuspend these particles so that the harm caused is ongoing; secondly, disturbed sea floor can release toxic substances into the Great Barrier Reef Marine Park. The Great Barrier Reef Marine Park has become just a blue line on a map. The trickle of funds for Australia’s national parks betrays a lack of appreciation of their economic contribution. Annual funding for the authority that runs Australia’s most famous reserve, the Great Barrier Reef Marine Park, is about 1 per cent of the $5.2bn it earns the country in tourism revenue. Yet if the IUCN World Parks Congress cost a conservative $20 million to stage then a key opportunity cost would be the June 2014 Federal budget cuts to the Great Barrier Reef Marine Park Authority. The budget axed 17 staff including five of its’ directors positions. These positions included the director of heritage conservation, the director of policy and governance and the director of coastal ecosystems and water quality as part of an internal restructure. It’s being described as the greatest loss of expertise from Australia’s most important natural wonder and it comes at the very time the Great Barrier Reef is facing the greatest threat to its survival. The Greater Barrier Reef Marine Park Authority has been reduced by the Australian Government to being in name only and ineffective at protecting the reef. Until recently, one of those five directors, Adam Smith, was charged with dealing with the contentious Abbot Point coal terminal development and the proposal to dump three million cubic metres of dredge spoil into the marine park. Despite Dr Smith’s concerns, the sea dumping was approved by the Marine Park Authority. Dr Smith has since accepted voluntary redundancy and moved on after disagreeing with the Authority’s new economic leadership and values. 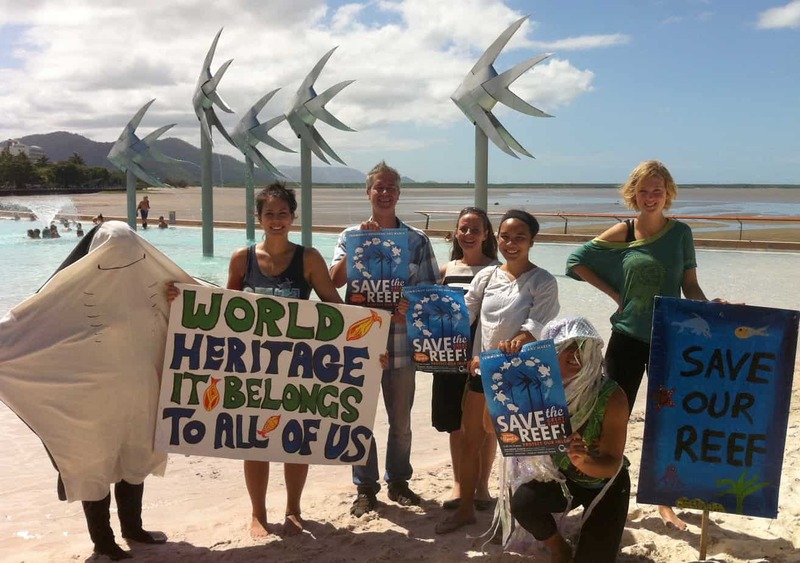 Heritage conservation director Jon Day has left after 21 years, disillusioned too with the direction the Authority has taken to compromise the reef. Next year UNESCO will decide whether to put the reef on its world heritage in danger list. Native Dugongs are already endangered. 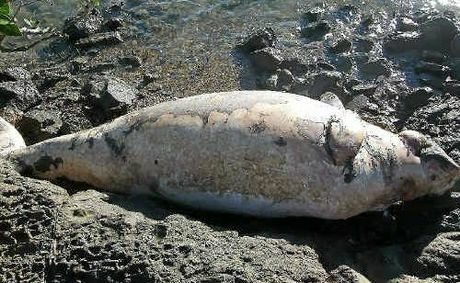 The deliberate extermination of the dugong and turtles which habituated the Gladstone area is a national tragedy. Dugongs are species listed under the Federal Environment Protection Biodiversity & Conservation Act, which requires the Federal government to legally protect these animals. Prior to the massive dredging operation of 52 million cubic metres of seabed for the development of the world’s largest LNG Terminal, ( which is 62% completed) a study commissioned by the Gladstone Ports Corporation found that a take, or a quota, of more than zero dugongs would be unsustainable. In the face of massive mortality of dugongs, turtles and inshore dolphins during the ongoing massive dredging, both the Federal and Queensland governments ignored the slaughter. Look at the stranding data from the Queensland Department of Environment and Resource Management. 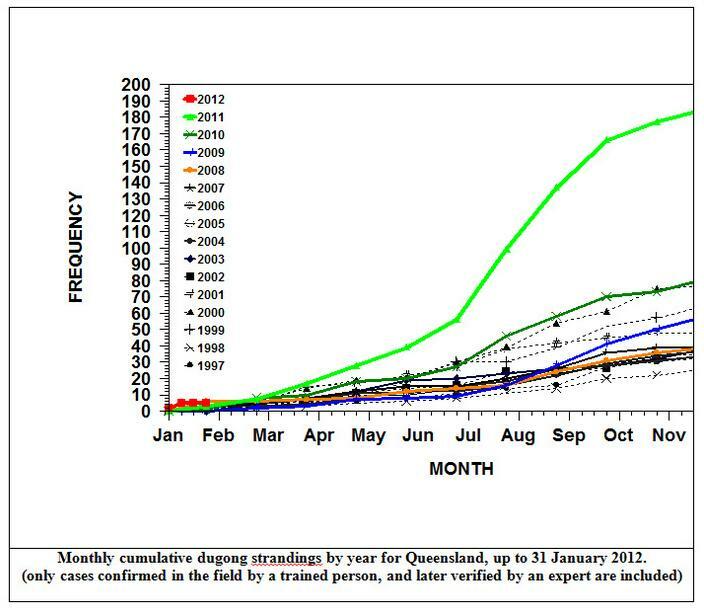 Monthly cumulative Dugong strandings by year for Queensland, up to 31 January 2012. There are 22,000 vessel movements a month in Gladstone Harbour. No ship strikes of Dugongs or of Green Turtles need to be reported. No audit of environmental conditions has been undertaken by the Queensland or Federal Governments. The wholesale slaughter of our marine wildlife is the price Australians are paying for the transformation of the Great Barrier Reef World Heritage Area into the world’s largest unregulated quarry. Australian protected areas have seen rule changes in the eastern states have allowed cattle to graze, recreational shooters to hunt and hotel developers to build in national parks. Shore-based recreational fishing has been allowed in areas of NSW marine parks previously zoned as no-take sanctuaries. National parks on land and in the ocean are dying a death of a thousand cuts, in the form of bullets, hooks, hotels, logging concessions and grazing licences. Yet as host of the 2014 World Parks Congress, Australia is showcasing “our own inspiring places, inspiring people and inspiring solutions.” The Global Eco Forum within the Congress programme focuses on tourism exploitation of Protected Areas because like the new Greater Barrier Reef Marine Park Authority, the new values are not about conservation by the billions in revenue opportunity to Australia’s economy. The October 2006 issue of National Geographic published an article “The Future of Parks: Hallowed Ground – Nothing is Ever Safe”. “Landscape and memory combine to tell us certain places are special, sanctified by their extraordinary natural merits and by social consensus. Sydney’s 2014 World Parks Congress appears to be expensive window dressing, showcasing fraudulent conservation of Protected Areas in Australia. It’s termed Greenwashing. The opportunity cost of the 2014 Congress could have instead funded the retention of the previously effective Great Barrier Reef Marine Park Authority and so done more for Protected Areas than all the pomp, promising, luncheons, showcasing, and talk-festing of the congress combined. 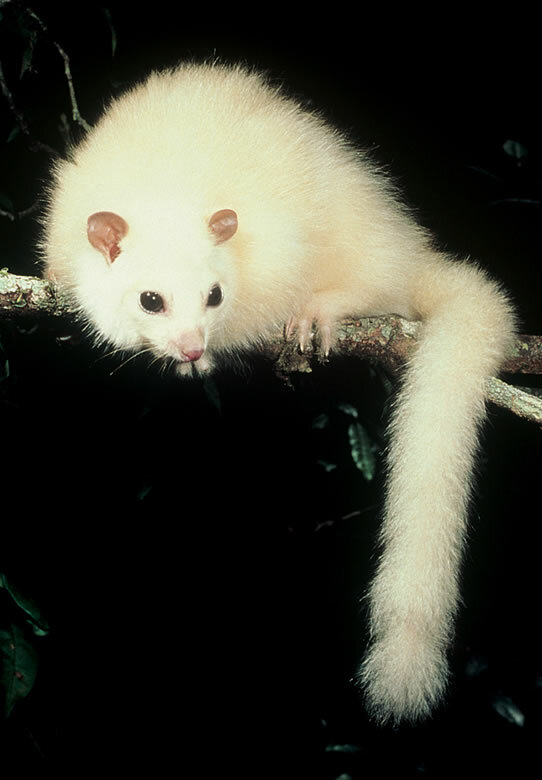 Has the white lemuroid possum become the first mammal to go extinct due to global warming? The species, normally found above 1000m, has not been sighted during any nighttime spotlighting expedition since 2005. Experts fear a temperature rise of 0.8 degrees Celsius may be to blame for the animal’s disappearance.